For the past (15) years getting out of Minnesota during the month of February has been a destination goal. 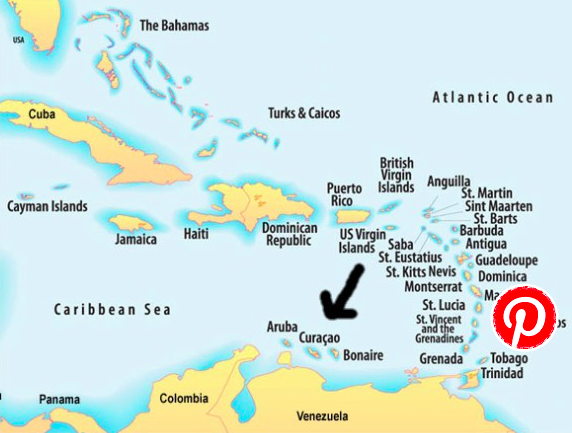 ‘Out’ being the operative word meaning, “Some place warm.” Curacao is a Lesser Antilles island in the southern Caribbean Sea and the Dutch Caribbean region, about 65 km (40 mi) north of the Venezuelan coast. It is a constituent country of the Kingdom of the Netherlands. It was not surprising to hear islanders and vacationers speaking Dutch, German, French, or the island language Papiamento. Our accommodations were at a Dutch mini-resort (8 units). Several times during our (9) day stay we engaged in poolside visits. Deb and I were the only individuals limited to a single language. One woman could speak (5) languages. Everyone else spoke a minimum of (3) languages. If a translation hick-up occurred and English slipped into Dutch for example, someone would suggest bringing the translation back to English so everyone could participate. We felt honored every time that occurred. Communication was not an issue. Admittedly I felt somewhat under educated. We visited (8) different snorkel sites. I had heard of sea snakes, now we can say we saw one. It was creepy. Kokomo Beach was our favorite snorkel spot. The sand beach made for easy access, and the coral reef was thick with many species of fish. Kokomo was the only snorkeling destination that provided showers, toilets, and a fine restaurant. A security person monitored the parking lot. I’m not sure how necessary that was, but comforting no the less. You hear and see “Dushi” often in Curacao. Dushi is Papiamento for tasty, babe, sweet, and nice. Eight of Curaçao’s forts have survived time, wholly or partially. Kia Picanto complete with on board navigator. A cairn is a human-made pile (or stack) of stones. Cairns have been and are used for a broad variety of purposes, from prehistoric times to the present. Kokomo beach. Around the point we saw lots of coral and fish here. View from Kokomo beach restaurant. To date the water clarity at Curaçao was the best of or visits in the Caribbean. We do love the Caribbean Sea. A Minnesota Mermaid. Very rare. Shete Boka National Park. It was worth stopping to see the large waves crash onto the rocky shoreline, which looks like another planet. Yes, we wear sun bonnets and UV safe rash guard tops. The swim tops helped for warmth. Even though we were further south closer to the equator, the water was colder. This is a very large school of fish. Best guess is 50 feet wide and 150 feet in length. Some times 1 foot thick, some areas were 3 feet thick with fish. Very impressive. Note sea turtle at top of photo. Another day at the beach coming to a close. Resterant view (Sea Side Terrace). Leaving Miami. Being upgraded to 1st class provides for a better view. No wing. Approaching MSP airport. Mendota Bridge with ST Paul in the background. Notably more brown than Miami. It’s like spring today, -8 C/ 18 F but sunny. However, we’re in for a blizzard this weekend, says our weatherman. I’d send you 20 of our 50° if I could. Thanks again for your writing tips. I tried to apply them in this post.